There are several reserves available in the market for all kinds of sectors but, investing in a real estate market needs an accurate plan with prevailing methods of execution. One must have the best of both the worlds that are, facts and capitals that are required for purchase or investment. Most people spend in this market to receive hefty profits, while some of them invest to generate a passive revenue source. Investment in real estate has its peculiar flaws and strengths. Hence, it is highly essential to get them right. 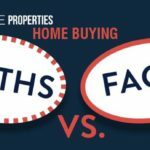 While speaking of dealing or investing in properties, information that people conceive is almost equal on a primary level. 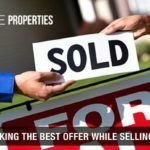 You need to dig in deep to be proficient in this market, which requires a lot of studies and hands-on research.Though as simple as it sounds as complex it can be - investing in real estate is less complicated as it involves purchasing the property and selling it (if the investor wants to do a house flipping). If you are investing in funds, you must know the number game really well, if you are into trading of bonds the principle halts the same. Investments could be of any kind but, in every way, you would require fundamental math skills that help you in understanding the notion well and painstakingly. 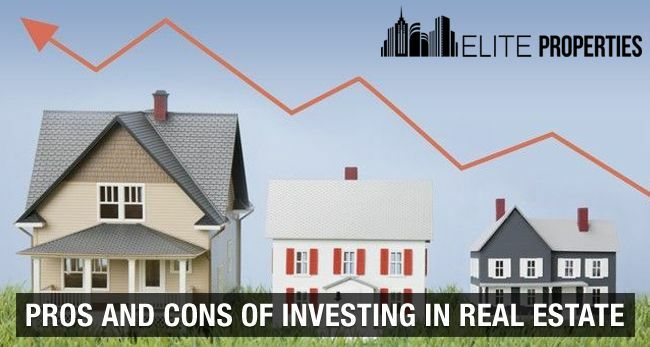 Several other investments could bind you to certain limitations which you might certainly can’t control whereas, real estate investments are more pliable and improvable. As being one of the tangible assets, it is evident to increase a property's worth in all degrees, by using some 'elbow grease' and 'sweat equity.' It does not matter how the process of upkeep is - it could be structural or just maintenance of the assets. The above reason makes investments in real estate improvable. If you are confused about the methods of investing in it, and you are residing in New York City, you can get in touch with 'Elite Properties' they buy house in all-cash offer and bids the best deal every time. The yields on real estate are allied to the rents, received from the tenants. Real estate has the head to strike inflation extra consistently than any other reserves, as it reacts in respect with it. It proves to be a good hedge against inflation, as rental properties are re-leased every year (every 11 months), rents are attuned upwards in the inflationary periods. Therefore, you are less worried as an investor in concern to the profits on the property. Investing in land and assets like property always proves to be a gravy train in the scenario, which also provides you with a sense of security and bequeaths a legacy of your name. Also, investing in other possessions like gold or platinum might leave you bound by stress whereas, a property can't be theft, so you have a sigh of relief, leading you to a much peaceful future.. Hence, adding an extra asset to your prized possession list never does any harm, but on the other hand, it is profoundly important for the investor to research precisely. Another added benefit of investing in a property is that you can receive profit every-day, but how? 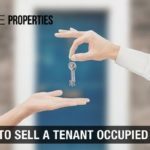 Rental income – One of the good thing about rental income is that you can earn profits out of it every-day for a full year or as many years you want, it also acts as a bonus if you have a full time serving job as the rent supplements the income. While dividend stock yields won’t assure you big returns. 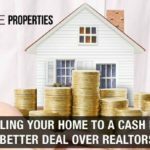 Investing in real estate aid in mounting equity as the flow of income is regular and, you don’t have to pay extra charges for the upkeep of the property. House Flipping is where you buy a property, rehabilitate it, and sell it to potential buyers, to ultimately attain big profit edge on the amount you invested in while buying. As buying a home, fixing it, and selling it could be too much but, it could also help you receive big profits as the property you buy does not necessarily contain structural damage every time. A smart investor will buy a house do the cosmetic changes, repairs, and staging (if needed) to increase its worth in the market. Always keep in mind that you are not the homeowner but an investor, and no investor will spend on an ugly house for cash. When we compare buying or investing in property with stocks, there is a high chance of property to win the comparison. The size of the property including the category decides the listing price whereas, the amount on stocks will fluctuate for a shorter term (inclusive of the transaction cost) and promise you measurable gains. The transaction cost of real estate is comparatively high, that transpires due to opacity in the market. Therefore, investing in the real estate market can significantly affect the value of the investment made, ultimately making it more difficult to earn profits, as it is also tangible and requires ongoing maintenance for sustenance. The first question appearing in your mind would be, what is illiquidity? As mentioned above, real estate is a big market and a preferable option for investment to many, but it also has some setbacks, and one of them is illiquidity. Trades in the market can be pretty tough as you tend to get fastened with a big price on the property. Here, the amount invested in the property is returned, with a substantial loss of capital. Such occurrences happen due to the massive gap in the bidding price provided by the buyer and the investment price set by the investor or seller. It is often tough to meet the price of the seller which eventually leads them to back out from the offer. If you want to invest in real estate markets, make sure you balance the books well. As soon as you make an investment in a property, your expenditure increases inevitably. It requires maintenance and other foundations for the upkeep and improvements, for any glitches in the property. Investing in properties is like a progressive ladder of ever-increasing expenses if the house sits vacant for a prolonged duration. Investing in a property requires an ample amount of capital, for legal and structural improvements. Charges like financing payments and taxes add to the increasing cost that also consists of maintenance fees. Including all the above disadvantages real estate also clutches inefficiencies, why? As the investor and buyer both mutually decide the value of the property, here, the investor's would face an unseen dilemma of not knowing the property's actual worth. It is essential to not go with the flow and check everything before proceedings as the amount of information perceived is solely based on clauses given before signing the deal. Most investors agree to the listed price and make an offer without carrying out a hands-on inspection of the property. For example - An investor purchases a property worth $10,000 and its actual worth could be $10,500 (this could be the best scenario) but, if you purchase a property as same for a $10,000 whereas the price of the property is $7,500 then, this a blunder and a significant loss. Therefore it is highly advisable to carry out an inspection before you make and offer and visit the site to avoid a huge mistake in the coming time. Being the owner of a property laterally brings a lot of liabilities on your shoulder, and legal issues come into play. As you own a property you are legally responsible for the damages, for instance, if the fence falls off on someone and the person is injured, you are accountable for the medical care of that person, and you may also face a personal injury litigation and attorney fees. All investments have their own set of pros and cons one must know the ropes while diving in the ocean of real estate. A wise investor will make most of both pros and cons to employ maximum profit out of the investment. 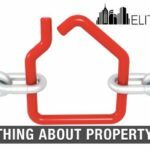 Moreover, you can contact reputed real estate companies in NY like ‘Elite Properties’ to help you in understanding – buying – selling of properties in NYC.